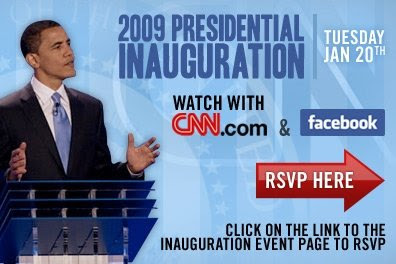 Inauguration - Facebook and CNN combine to offer social coverage of the inauguration of Barack Obama! On Jan 20th Facebook and CNN will combine to offer the first 'social inauguration.' 'Social TV' is developing quickly, from CNN using Twitter in news bulletins to CBS offering social viewing rooms to live blogs around popular shows and the Facebook / CNN partnership for Barack Obama's inauguration will further develop social TV - many predict it could be the biggest live video event in the history of the web! Facebook users will be able to update their Facebook pages directly from the CNN.com live stream meaning they won't have to leave the live coverage to discuss it with their friends. As users make comments while watching the inauguration on CNN.com, their profiles on Facebook.com will be instantly updated. A mini-Facebook window on CNN.com will also show updates from friends in real time. Tune in on January 20th for the first ever social inauguration! Make your own Inauguration speech with the Inauguration Speech Generator! CBS social viewing rooms - the future for social TV? This is one that I think will do very well indeed. 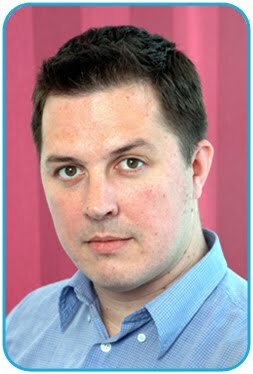 It makes complete sense that TV blends into online and people interact to have a fuller experience. I suspect this is only the start of these things. I first heard about it on a slick TV add on CNN so they are pushing it big time. Yes I think this will be huge. Also with all the other streaming going on today (Hulu, Joost, official site etc) + things like Twitter going mad, could today be the day that the internet falls over?